Nocturnal skiers and snowboarders in Niseko are arguably treated to some of the best flood-lit night terrain in the world. 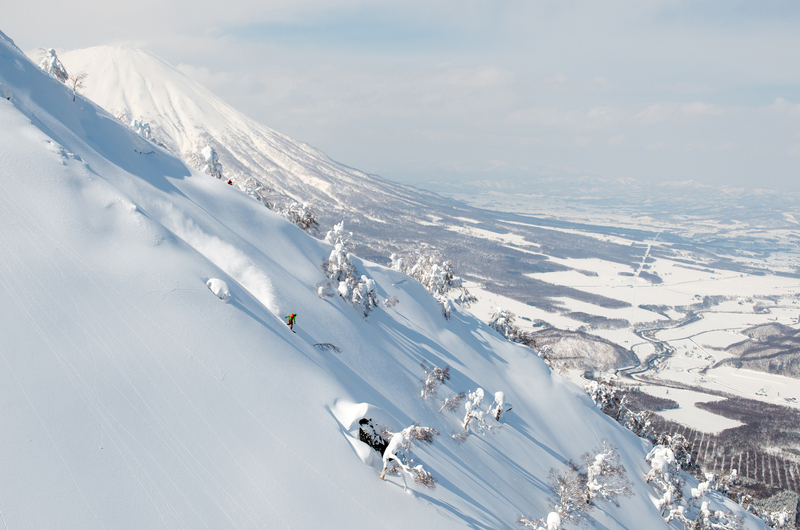 After dark, three of the four Niseko United resorts are still open for business – Hirafu, Niseko Village and Annupuri. The mountain is a completely different world in the hours of darkness. The flood-lit atmosphere and the way the shadows are cast on the mountain make it a spectacle worth experiencing. With the lights pointing in from all directions, it’s like a 3D fantasy land. Niseko’s night skiing is among the best in the world Many would be surprised to hear that visibility at night is often crystal clear – much better than during the day, when white-outs can make things a little hazy. With a good pair of goggles, clarity at night is constant. The lights also make it easier to see all the lumps and bumps. Late afternoon and early evening are also often when harsh weather goes to bed, meaning it can be calm and eerily still. And with temperatures lower, it frequently makes for lighter, fluffier, better quality powder. 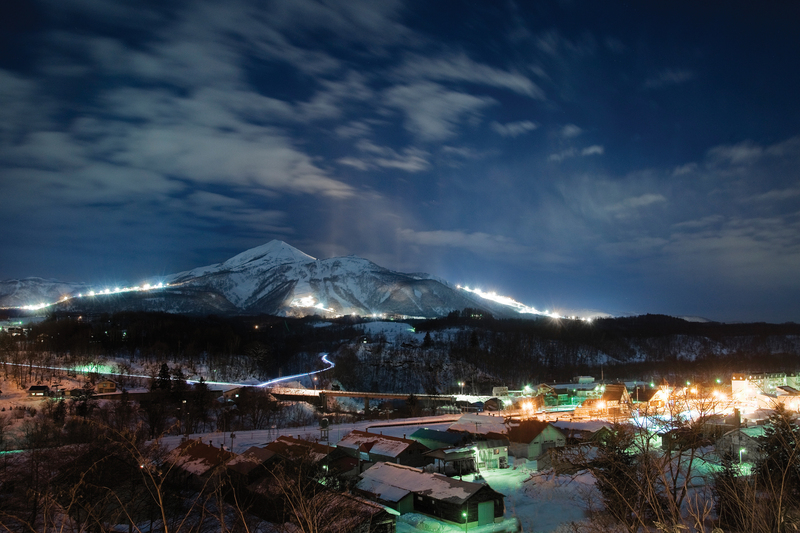 Hirafu is arguably the all-round king of night skiing. The resort has been offering night skiing for almost 50 years, so it’s no wonder they’ve got it down pat. 1287 metal halide lamps have been erected strategically around the resort lighting everything from the beginners’ slope to vast swathes of the resort’s off-piste powder stashes. In all, there are about 70ha open to explore. Most resorts have selected lifts operating up to 8.30 every night when the weather is cooperating so get out there! 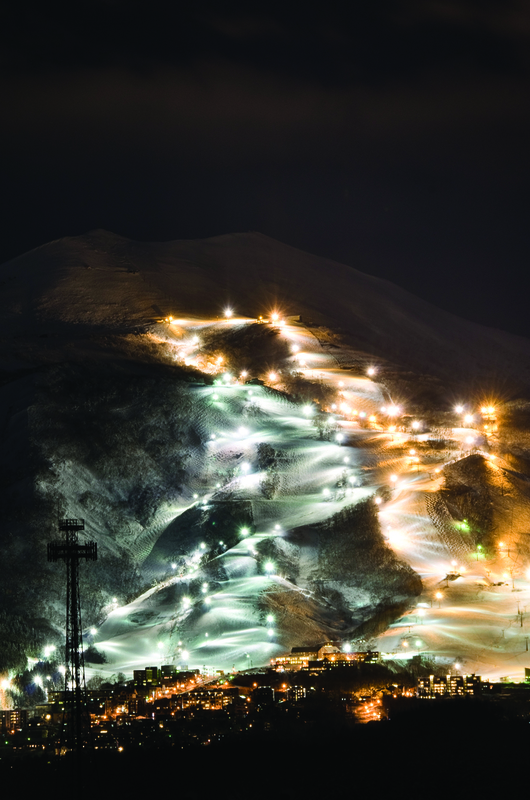 The beginners’ runs are very well lit at all three lit resorts – Hirafu, Niseko Village and Annupuri. Take your pick! Annupuri’s long, wide runs are almost always empty, meaning some nights you can practically have the resort to yourself with a range of terrain and park to enjoy. Unless you’re happy to cruise with the family, head to Hirafu. Literally most of the mountain is lit up either directly or ambiently. If it’s snowing hard, your tracks will very often be filled in by the time you get back up. You haven’t experienced all Hirafu has to offer unless you’ve skied it on a night like this.